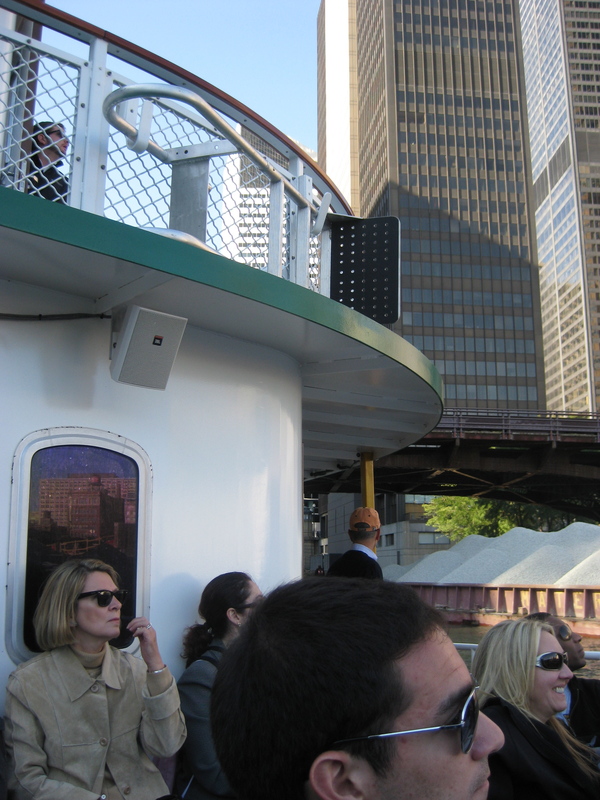 ← Welcome to Chicago with an architecture river cruise! 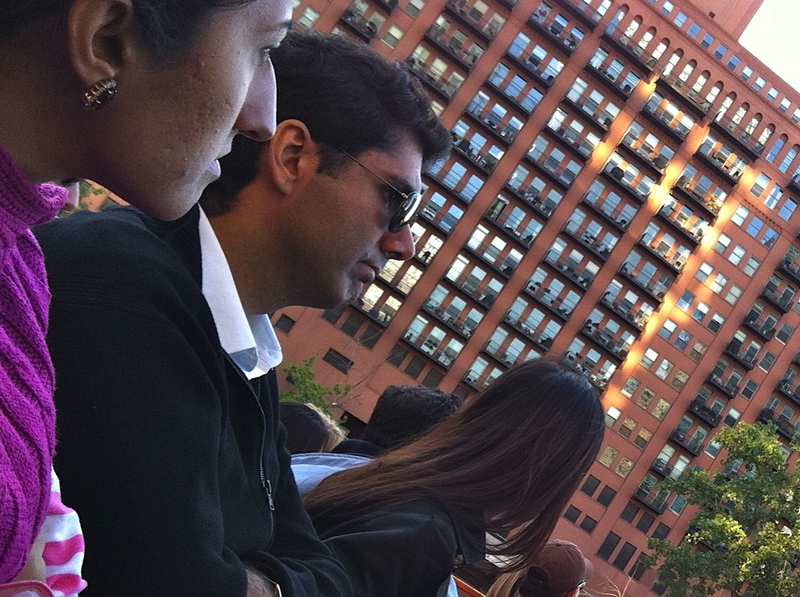 SEVENTY TWO PARTICIPANTS among Fulbright students and scholars, alumni association members, an IIE representative and three consular officers enjoyed an educational river cruise that showcased the beautiful Chicago architecture. 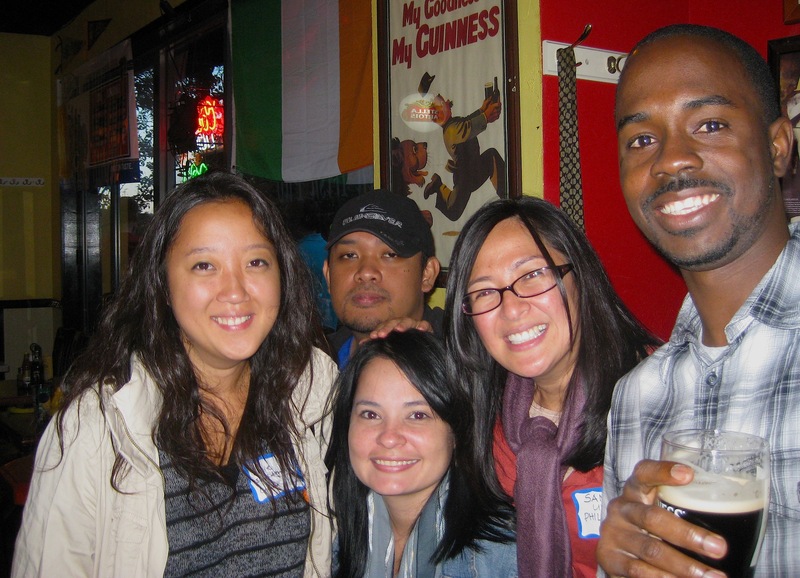 The 2011 Fall Welcome event took place last Saturday September 17, starting at 3 pm. 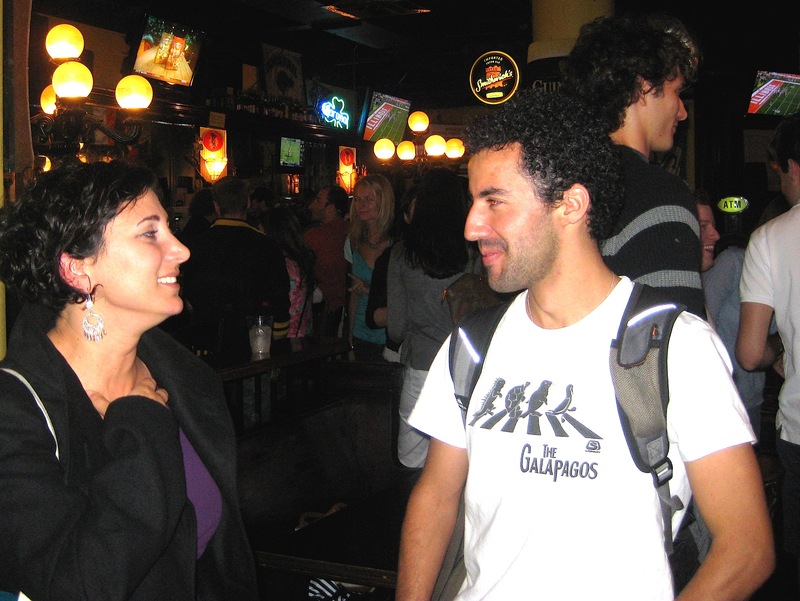 when citizens from all over the world met to share this invaluable experience. 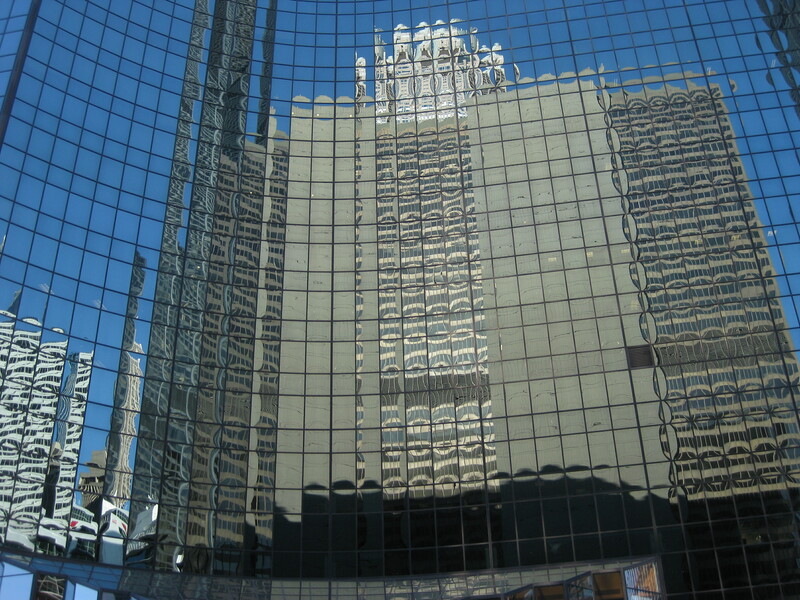 The day was sunny with a 72 degree temperature. 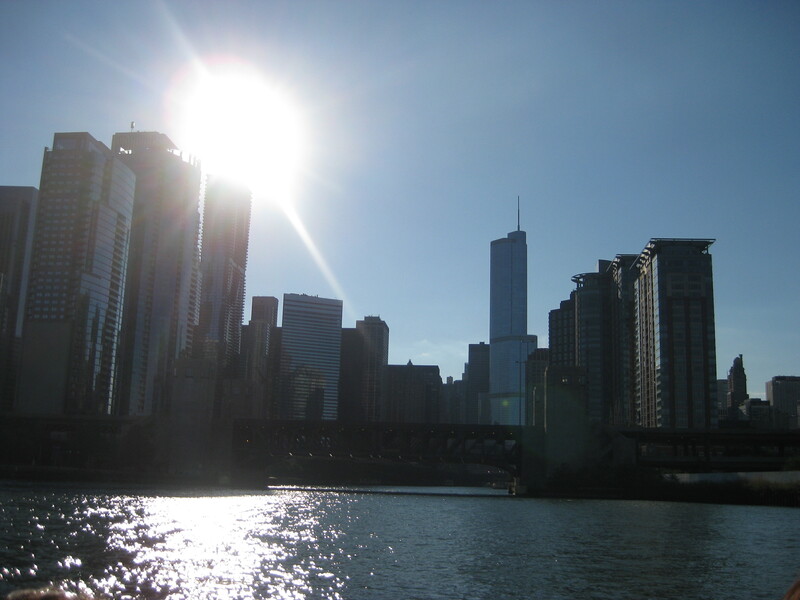 A beautiful fall day that allowed everybody to appreciate clearly the different important buildings that can be seen from the Chicago River. 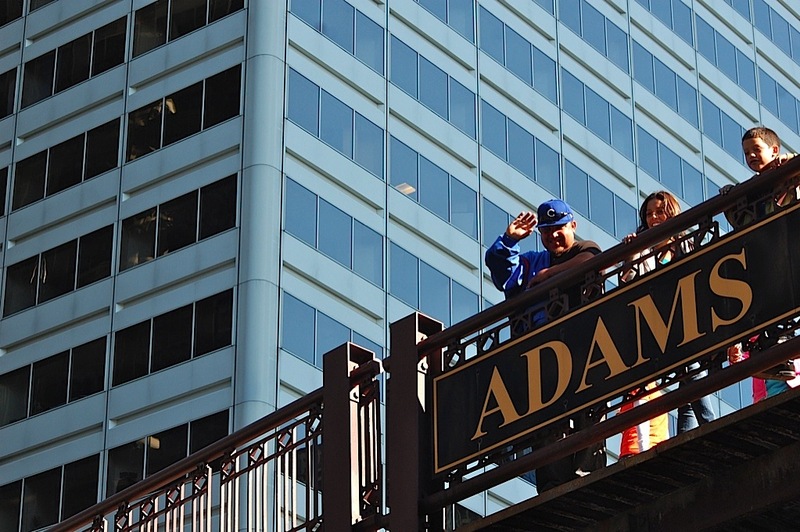 Tourists waving from the Adams Bridge over the Chicago River. 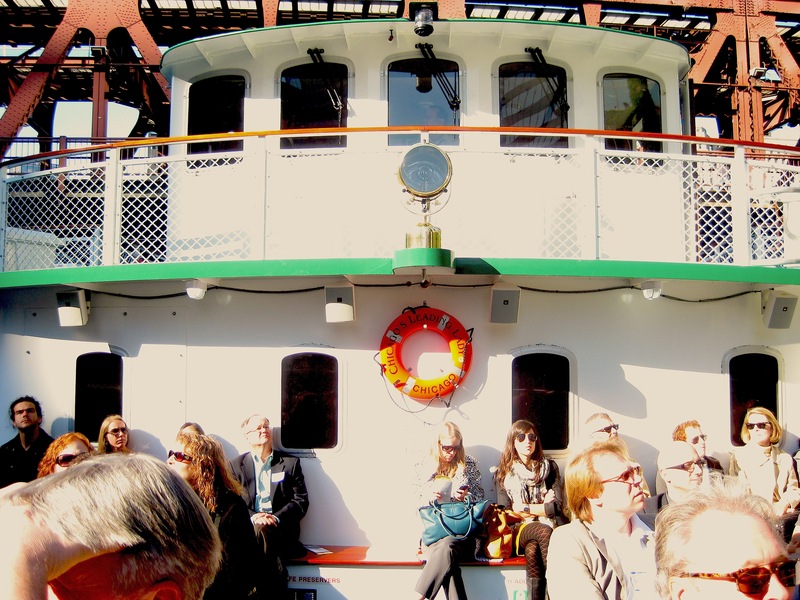 Fulbright students enjoying the Architectural River Cruise. 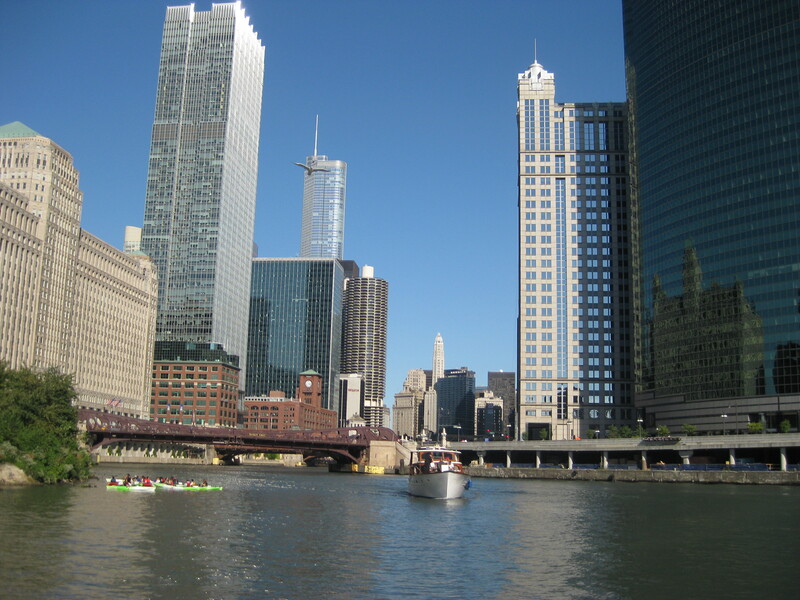 A magnificent view of the buildings on the way towards the south branch of the Chicago River. Board members Kari Burnett, Lauren Ostrowski and Stephen Hill. A view from the front of the boat. 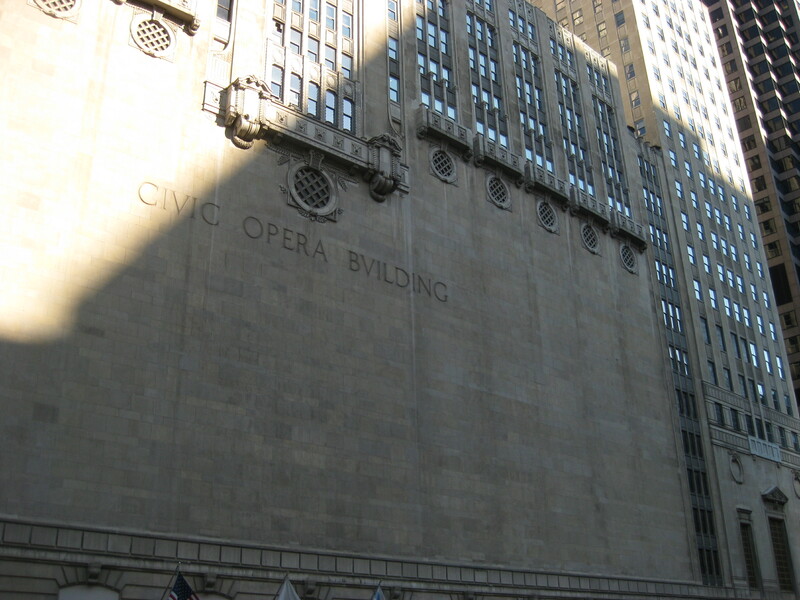 The Civic Opera Building on the south Branch of the river. A view towards Lake Michigan, to the east. 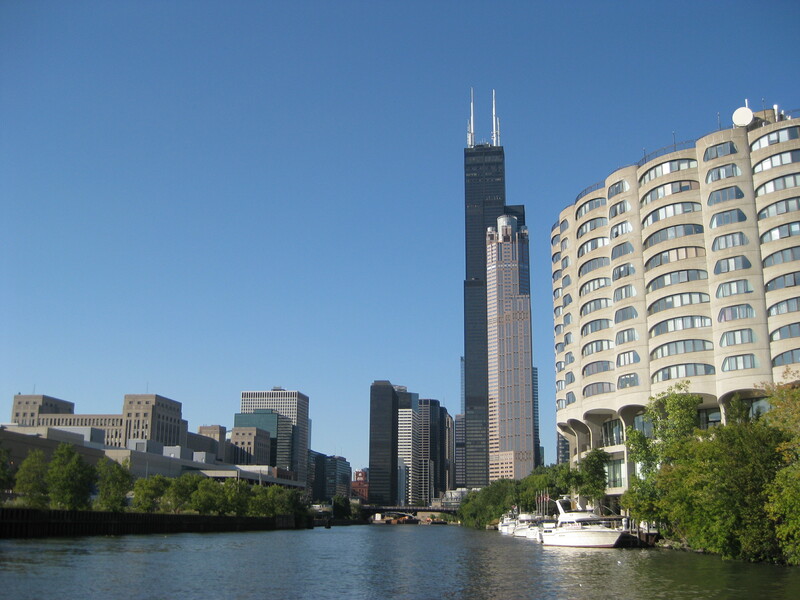 Notice the Merchandise Mart, Marina City and the Trump Tower, on the right side. 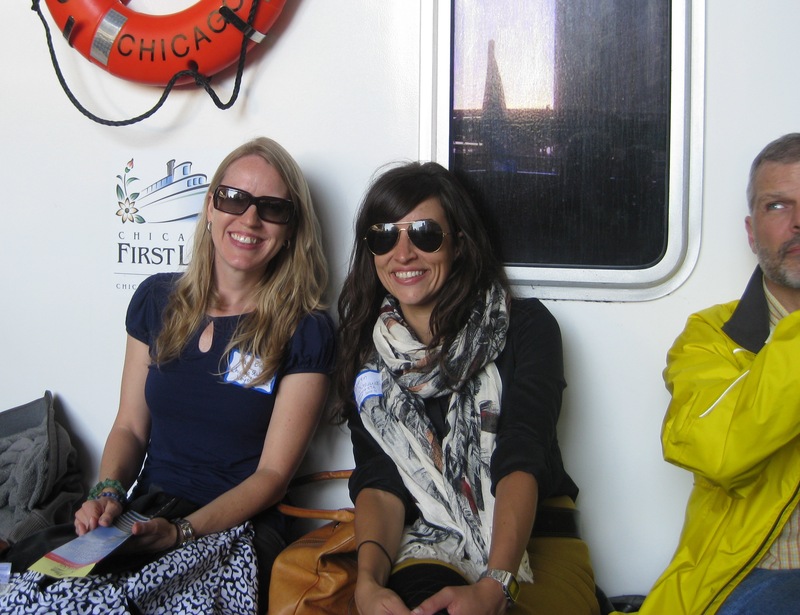 Fulbright students having a good time after the architectural river cruise. What a beautiful day! A great experience to begin the academic year. 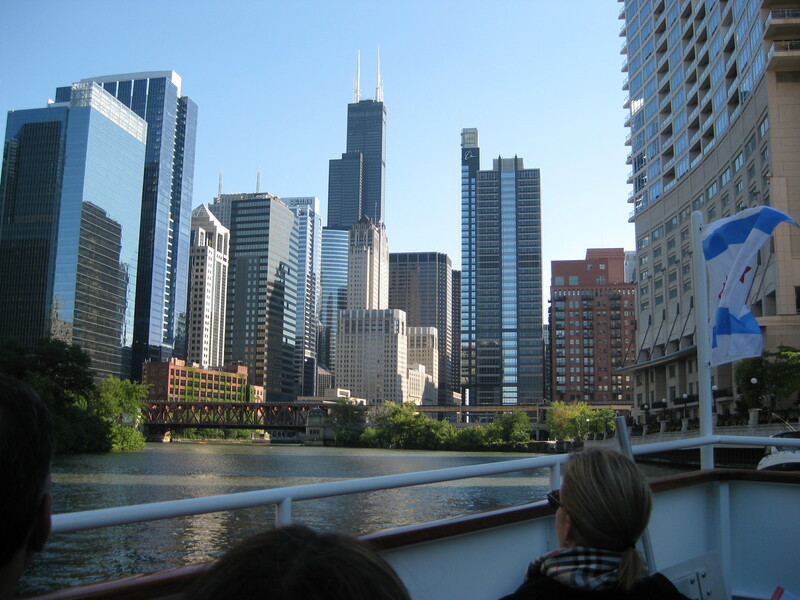 This entry was posted in Fulbright and tagged Architecture River Cruise, Chicago, Chicago Chapter of the Fulbright Association, Fall Welcome, Institute of International Education. Bookmark the permalink. Great photos and company! Who could ask for more? Our chapter is off to a fine start this year.